After being MIA for 3 weeks, I am back. I am back from a much needed / much wanted / much epic holiday. My visit to the United Kingdom was fabulous. I visited four cities in the UK, first Birmingham then Peterborough, then London and then Lincoln. Now lets get to our main point – Food ! Birmingham has loads of food chains with McDonalds, Costa Coffee, Starbucks, Pizza Hut and Dominos being the obvious. There were also the ones I never tried. This trip was aimed at trying new best places to eat and finish my ” to – eat list. ” My first try was Pret A Manger and also my first time try in the UK was Nandos. I tried Nandos in Mumbai, but everyone just keeps raving about the Nandos at UK, so had to try right. Pret A Manger, is an awesome place for tea, coffee and sandwiches. It is filled with healthy and organic food, which is made fresh everyday and supposed to be consumed on the same day. The leftovers are given to charity at the end of the day. Lets just say Pret A Manger has been my lunch and evening snack option a lot ! I absolutely loved this place. 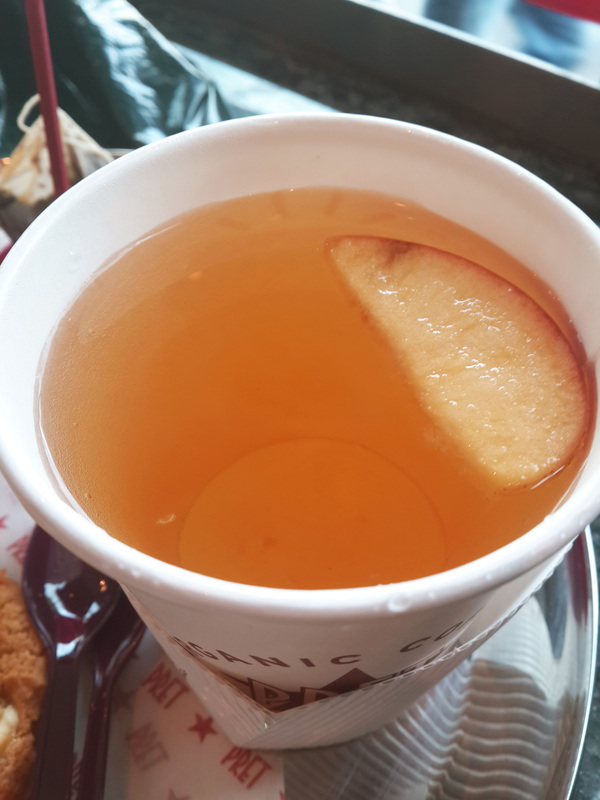 The English Breakfast tea, Apple Tea, fresh Smoothies, and their special juices and cold drinks was simply great.There was a hot and cold section for sandwiches, wraps, salads and soups. I tried both the hot and cold sandwiches and they were just delightful. I didn’t get time to click the snaps of all of the items but trust me the food was delicious. Other savory and sweet items where also fresh, yummy and the portion size was more than good. Then we shift to Nandos. Everyone would probably know about Nandos. If not, it is an African – Portuguese restaurant chain famous all over the world, especially for its Peri Peri sauces and obviously for its delicious food. 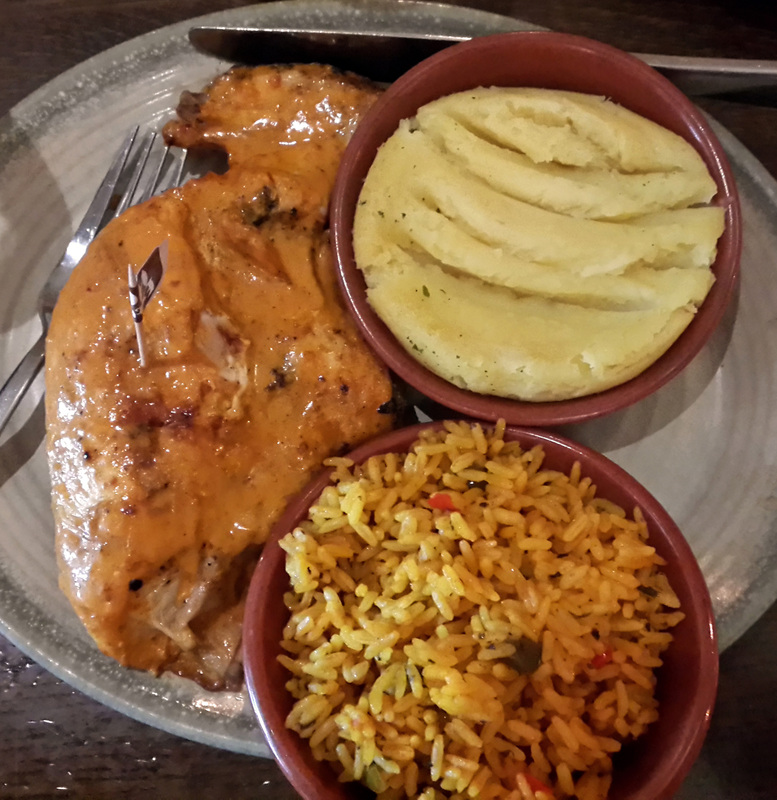 My Nandos craving was finally fulfilled with 1/4 Chicken with Extra Hot Peri Peri sauce, mashed potatoes and spicy rice. What a meal ! Super tasty, bang for the buck and filling, all and all epic ! I will be going to the supermarket and getting the Extra Hot Peri Peri Sauce for myself soon. English Breakfast was on my “to eat” list. English Breakfast consists of eggs, sausages, bacon and other side dishes like hash brown, toast, tea, etc. We were staying at the Hampton by Hilton, Birmingham. Nice hotel with a good breakfast to start your day with. I ticked my almost English Breakfast here, cause I had to avoid the bacon and sausages. So my almost English Breakfast consisted of tea, eggs, hash browns, baked beans and toast. 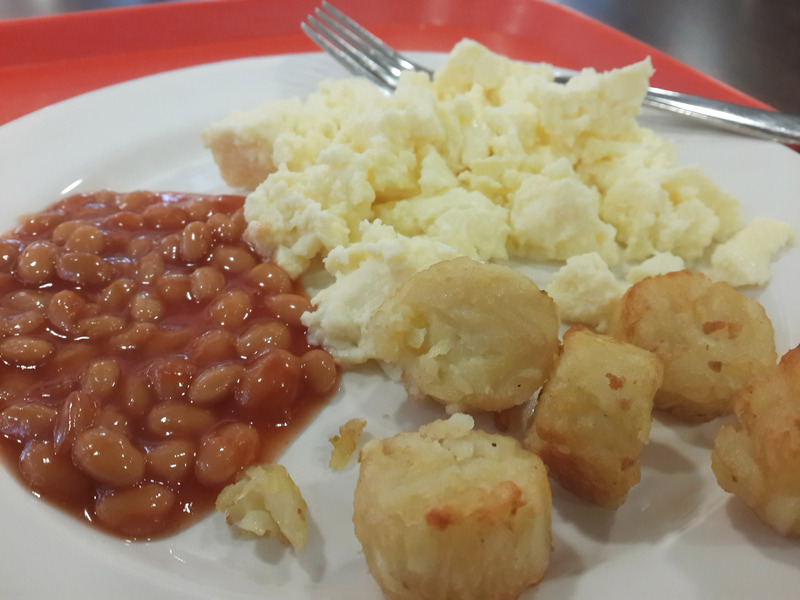 I absolutely hogged on the baked beans and scrambled eggs. They were too yummy. I was staying at my relative’s place here for like two days in Peterborough. So pretty much had nice and tasty home cooked meals. But we did go out for an Italian meal at Fratelli. 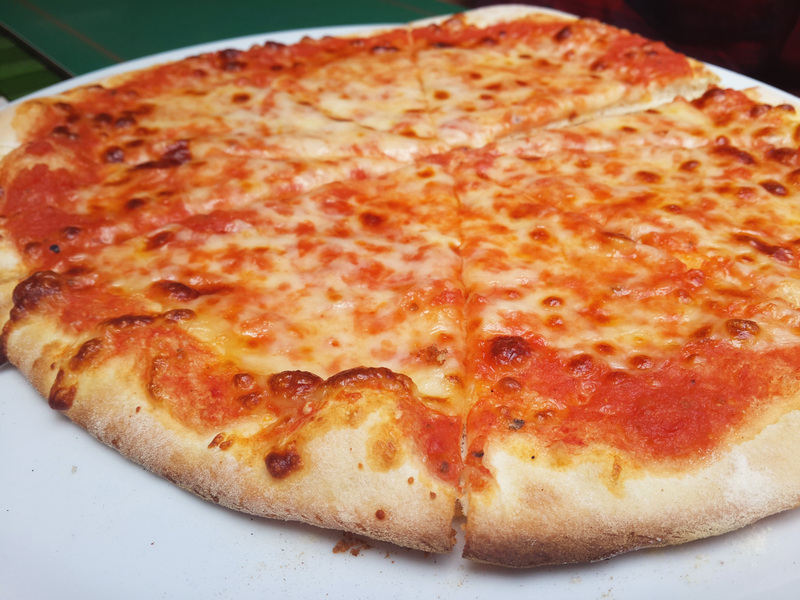 Located in the town center, Fratelli was packed and bustling with people when we arrived. We were lucky we didn’t get any waiting. Though we were seated outside. I went inside for some quick snaps. I absolutely loved the decor here. 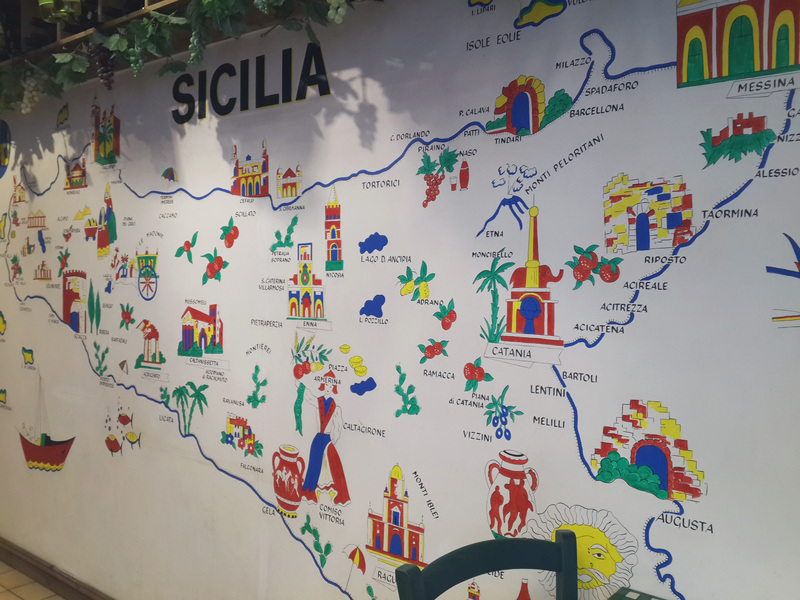 The Sicilia map, vegetables and meat hung across what I think was the bar or something (didn’t get to go inside and see that part of the place properly). 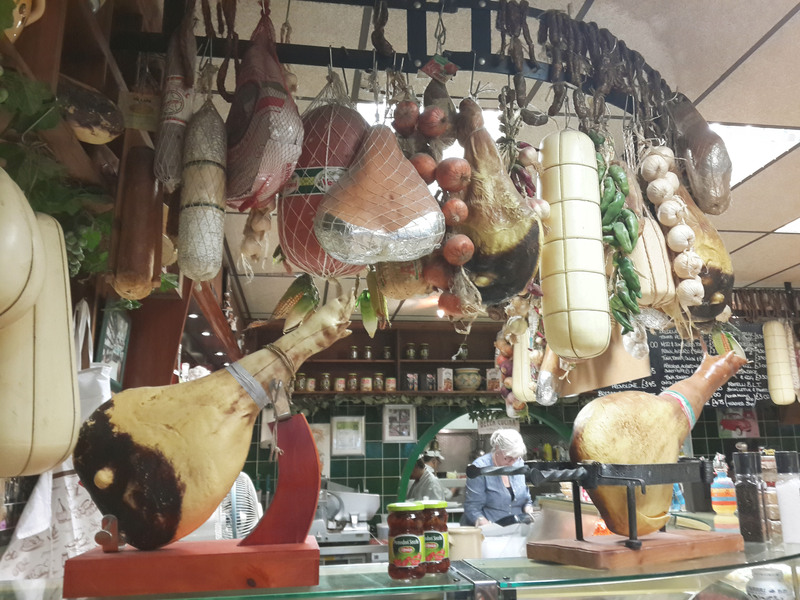 They also had a special section selling olive oils, pastas, sauces and Italian desserts. The pizza tasted much like the ones we get here, but the Potato Pasta (I forgot the original name, you know me) was my favorite dish. 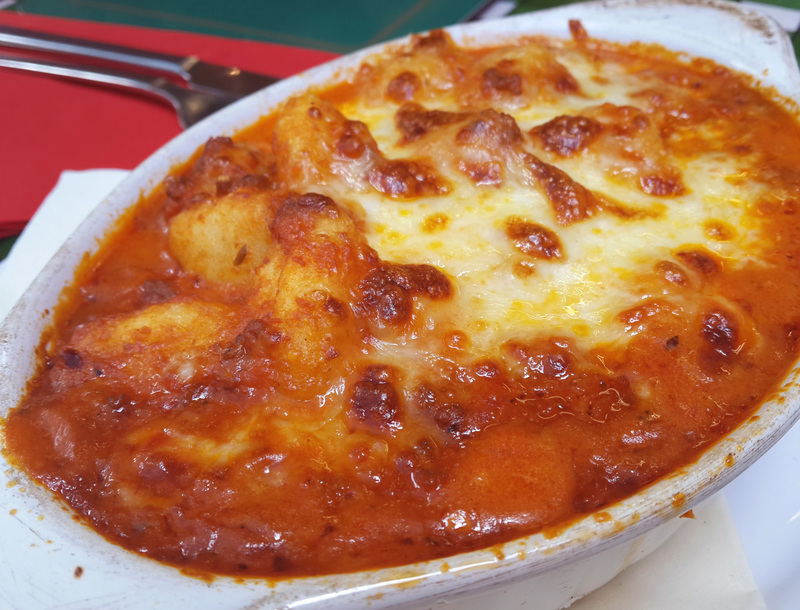 It was what I remember as baby potatoes cooked with a delicious spicy tomato sauce and topped with mozzarella. It was something new and full of flavors. So that was my short trip in Birmingham and Peterborough. Next stop is London and that will be continued in the next post. This is one long three part post. I know three ! But I cannot help it, I ate too much. So you guys have to bear with me.